The course starts on Park Ave. near Harrison Street and heads west. 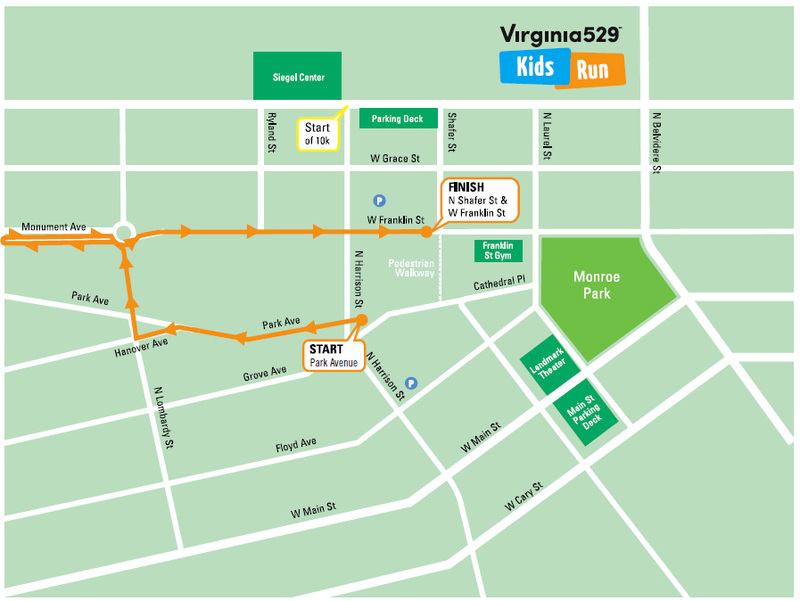 Participants will bear left onto Hanover Ave. and then turn right onto Lombardy and continue to Stuart Circle, where they will turn left on Monument Ave, going out and back for one block before continuing down Franklin Street to the finish line near Shafer St., finishing through the same chute as the 10k-ers! This race is untimed, but there will be a clock at the finish for those who are interested.